Yesterday, Febraury 23rd, was a sad day for my family. 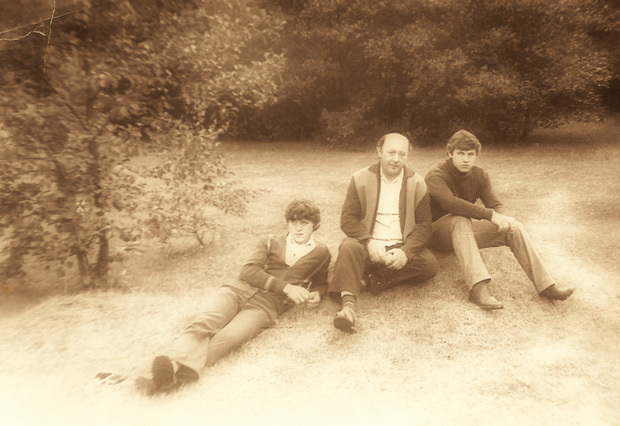 Three years ago my grandpa, Vladimir Manchik, passed away from a stroke. He was one of the most respected men back in our home town of Novovlynsk, Ukraine. He was wise, humble, caring, strong, and loved his 20 grandchildren very much. More than 1000 individuals attended his funeral service--people who came to pay their respects to a great father, husband, deacon and friend. Though he left such a legacy, I must admit that I spent very little time with my grandpa in all my years. He was always no more than a 30 minute drive away. I took him for granted. We were always at the same family gatherings, but other than a hello, I didn’t make an effort to spend some personal time with him. My best memories of him were when I was younger and had sleepovers at my grandparents’ home. The three of us-- my grandma, grandpa, and I-- would spend a short time chatting over breakfast or lunch. I was young at the time and getting to know my grandpa wasn’t high on my list of priorities. This was and is one of my biggest regrets. Having such a respected man, who’s lived through so much in his life, always so close to me, and never taking the time to chat and listen to his stories of growing up in a communist USSR, marrying my grandma, and moving his entire family to America. I’m sure there are many more stories that I didn’t hear. I wish I could drive over to his home right now, and instead of just eating some of my grandma’s amazing food, spend time talking with my grandpa over the kitchen table. It’s a little too late for ‘ifs’ but if my Grandpa were still here, I would be happy to sit for hours, listening to everything he has to say, from stories to advice to corrections that only a man who has lived through hardships and struggles in his lifetime can share. I know very little about my ancestry. I know who my grandparents are but past that, nothing. It’s partly my fault; I never cared to sit down and ask my parents or grandparents. But it’s partly my parents’ fault—anytime I tried to ask, they didn’t want to talk much about it. If they did speak of family history, it was very brief and vague. I was always fascinated by friends who knew that their ancestors were from Ireland, Germany or France, and they knew when and how they came to America, even if it was several generations ago. 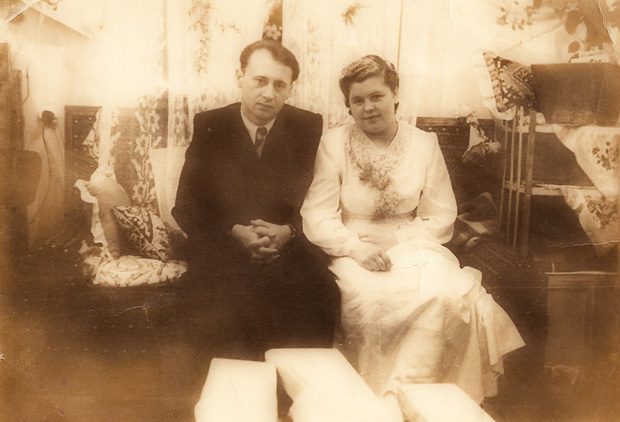 I recently got to know my grandpa and ancestry a little better through his sister, my great aunt, Lyuba Timoshuk. 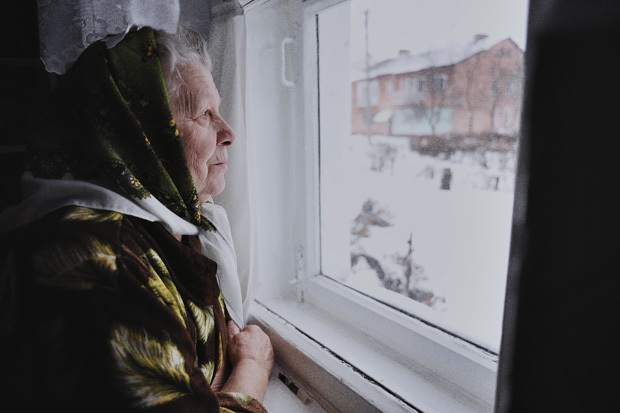 She is the closest relative I have who still lives in Ukraine, and Julia and I had the pleasure of spending our time at her home in my home town of Novovolynsk. I haven’t seen my great aunt since leaving Ukraine at the age of 6. Julia and I spent many hours sitting on a couch with a big Ukrainian rug under our feet (and a rug on the wall behind us) listening to Baba Lyuba (as we call her) tell us about my parents, how they met, married, their double wedding (my dad and his brother got married on the same day; over a thousand guests attended). I learned more about my parents in a few days with my aunt then I would have ever learned trying to talk with my parents. We heard so many great stories (we took notes and used a voice recorder) that I can spend many posts writing about them. 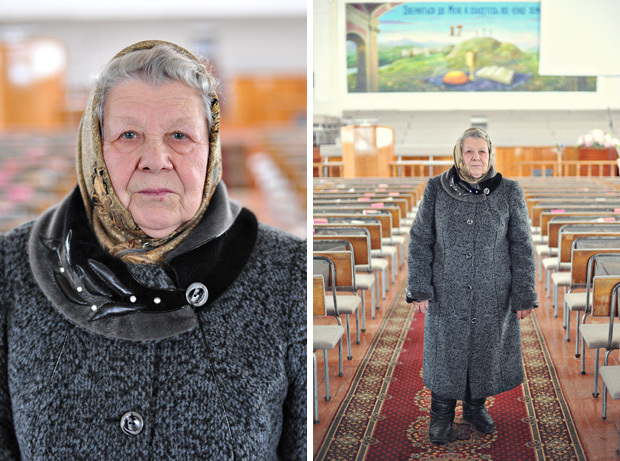 Baba Lyuba shared about growing up in a village with very little food, no shoes, and the threat of the Ukrainian Banduras. These were Ukrainian rebels who killed and stole from their own people, while constantly fighting the Pollacks. She told us how their parents would make her and her siblings sleep in the woods, hidden in bushes and under grass so that if the Banduras tried burning down their home, at least they would be safe. She told us about working in the fields all day, their compensation for a full days works was 200 grams of wheat. Told us about the Germans, who would sleep in their home during WWII, on their way to fight the Russians. They slept in locals' homes in their village and the next day moved on and had battles a few kilometers off in the distance. She mentioned how the German soldiers were very nice and usually gave them candy or other treats. Baba Lyuba’s brother, Philip the shoemaker, went off to fight in the war and was in the Battle of Berlin, the decisive battle of WWII which resulted in the dissolution of Nazi Germany. He came home with honorary medals and went back to making shoes for the family. 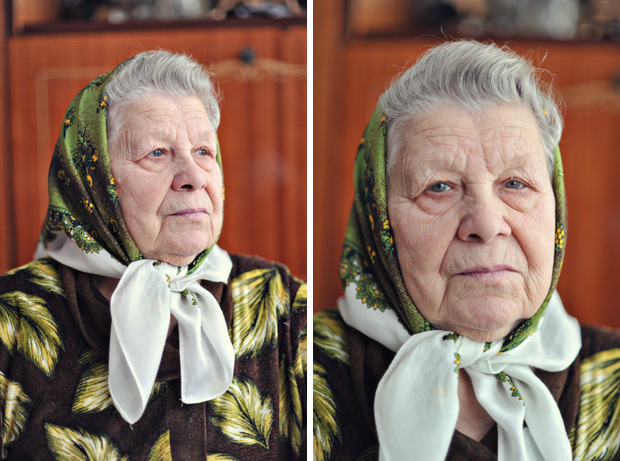 Baba Lyuba had plenty of stories about my grandpa, Vladimir. One of these stories told how my grandpa’s dad was murdered when he was 12 years old. From that point on, my grandpa, being the oldest, had to take care of his mom and the rest of his siblings. He became a deacon at a young age and got involved with the church at a time when Christians were heavily persecuted in communist USSR. He married my grandma, Maria, and together they raised 7 kids (6 boys and a girl). 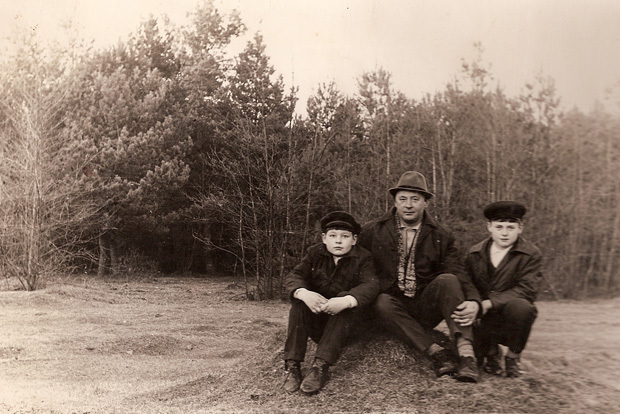 He toiled in the coal mines of Novovolynsk for most his life before immigrating to the USA. At first he was against moving to America because of his involvement in the church, but eventually gave in and immigrated with his wife, 6 kids, their wives, and 8 grandchildren to America (one son and his family were already in America). He later wrote letters to Baba Lyuba saying life in America was great. Even with all I learned, I would love to spend time with my grandma and hear more about their move to the US and life in a country with a new language, culture, and food. I am very grateful to have come back to where I was born and raised, to see sights that I slightly remember, and to spend time with my great aunt and her stories. She graciously spent countless hours sitting and talking with us until her blood pressure got too high and she had to send us off to bed so she could lie down. I could have sat on that couch all night listening to stories of my grandparents, parents, aunts, and uncles. A lot of the time it was hard to believe that the things she was saying really happened—it still seems like something out of a book or movie. I am most grateful to have gotten to know about the life of my grandpa a little better—a great man who raised his oldest son, Viktor, with his same character. Viktor followed in his dad’s steps and became a deacon in the church and went on to marry and eventually have 5 kids of his own, his oldest son being me. I have big shoes to fill; to try and do at least a quarter of what these men have done. Three years after Vladimir Manchik passed away, I know my grandpa’s story a little better now than I ever did while he was with us. OOoo wow, this is such a beautiful post. You write with some much feeling and conviction. I got teary eyed reading this post as I just lost my grandmother this past year and my husbands own grandfather passed away last week. Thank you for sharing this and i am happy that you were able to spend such quality time with your Great Aunt in the Ukraine. I love listening to stories. I hope one day when I'll be old and gray, I will also have fascinating stories to pass down to the youngsters in my family. I'm so sorry about your grandpa. Mine died two years ago, so I know how hard it is to loose your grandpa. it's so nice that you're spending it remembering him and his home fondly. I enjoyed reading this, thanks for sharing! 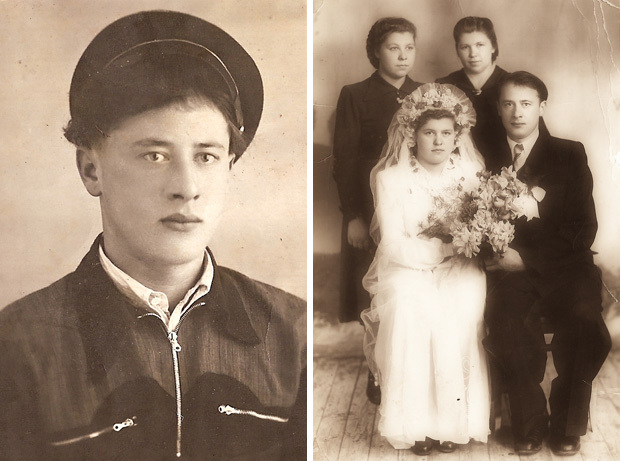 It inspires me to learn more about my great grandparents who immigrated from Ukraine. 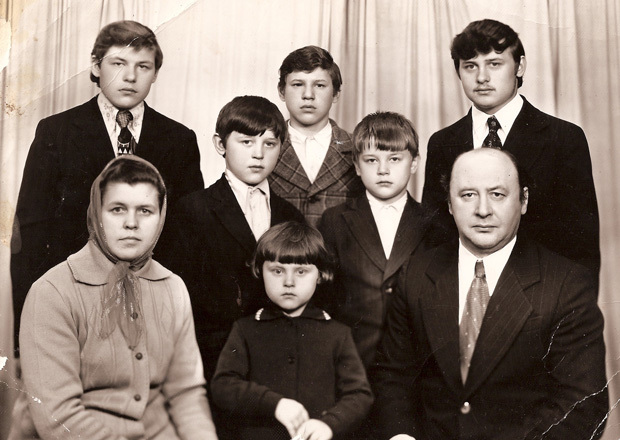 Were your dad and grandpa deacons in the Ukrainian Orthodox church? Wow, Yuriy, that is so cool that you were able to get all that history from your great-aunt. I keep wanting to do something like that with family but don't even know where to start. Your grandpa sounds like he was an amazing person to get to know. He looks so much like your dad in the third picture! Talk about a history lesson! I'm very sorry about your grandpa. I lived thousands of miles away from my grandparents my whole life and I worry that I'll never truly know them. Every time that I visited and asked questions, I wouldn't get too many answers. If ever my grandparents would say something about their past I'd latch on and ask questions which always seemed to surprise them, ha! 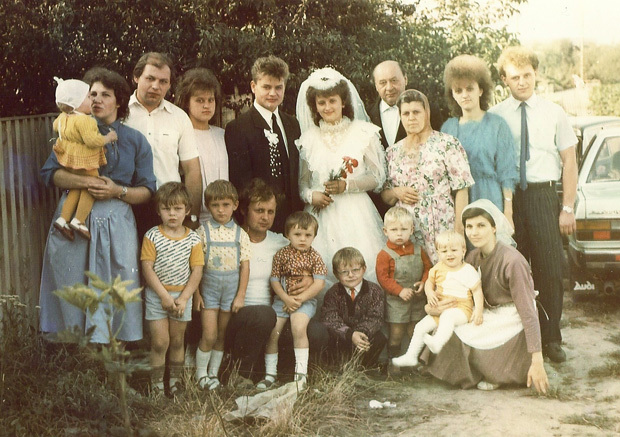 The second to last time I was in Poland one of my grandma's showed me ALL of their family photos that she had ... it was amazing! The window shot is gorgeous. 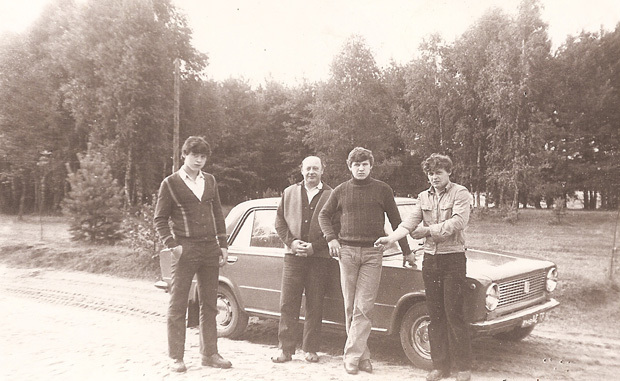 It is so cool that you could go back to Ukraine and learn so much about your heritage. :) What a rich family history you have! I'm sorry to hear about your grandpa passing away. I'm sure you miss him. I personally believe that there is a next life where we can be with our families forever. So I believe you will one day see your grandpa again. I love the family pictures that you posted. You have a cool heritage. I'm sure your grandpa would be proud of you for marrying a beautiful, nice girl and for visiting the Ukraine. My family has done genealogy work. My ancestors are from Norway, Switzerland and Germany. We actually have the records to trace our line to the first king of Norway and a viking. Pretty neat, huh? I remember Vladimir Manchik preach in Novovolynsk. His favorite bible verse was: Поднимите, врата, верхи ваши, и поднимитесь, двери вечные, и войдет Царь славы!